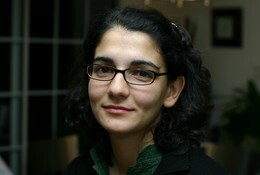 Perla Issa is a candidate in the Master of Arts in Arab Studies at Georgetown University. She earned a master's degree in mechanical engineering from the Massachusetts Institute of Technology. Perla is the audio-visual research manager and French language translator/transcriber at Quilting Point.